Nowadays, it’s important to set your business part from all others and create a setting that will give your clients confidence in doing business with your firm. Marvin outdoor lighting gives you the opportunity to do exactly that. Well designed outdoor lighting makes your property look more attractive and inviting thus the chances of customers coming to your place are increased. The feeling of security while shopping is important to all clients and if you give them this feeling then you will be their number one choice always. Divine Lightscapes will work to create an outdoor environment that will help you shine above all others. 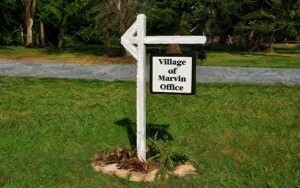 We can provide lighting anywhere in Marvin using customized solutions for all your needs. Our team of technicians has all the knowledge and experience needed to design your Marvin Outdoor Landscape Lighting while also maintaining and installing tailor made systems specific to your situation. We can help you determine exactly what type of lighting your premise needs and whether that needs full outdoor lighting system or just a few lights. Rest assured that the initial installation and subsequent maintenance will be done right the first time round. This is the guarantee we give you when we hire skilled maintenance and installation personnel. We are the name you can trust for reliability, quality and value in all your lighting needs. Your lightscapes will not only be appealing but will also serve practical functions. For a business this may be the most important feature. Think about it, you no longer have to shut down early but you can extend your business hours and thus your income increases. This one time investment can considerably boost your profits and build you a loyal base of customers. Trust us with your landscape lighting needs and you won’t be disappointed. Contact us today and let us handle the well being of your landscape lighting.